I remember the very first time I set eyes on the Partnach Gorge (AKA the Garmisch Gorge or Partnachklamm for you Deutschy people). It was a rainy night and I was four spoonfuls deep in Nutella, binge scrolling through Pinterest. It was a few weeks before I was moving to Munich for the first time, and then I saw it. A single photo. Electric blue water framed by steep rockfaces and picturesque little drips of water trickling to the side. I saw “Germany” in the caption and immediately hopped to Google Maps to track down where this insane marvel was. To my surprise (and ecstatic delight), this “Partnachklamm” was actually CLOSE to Munich. As in, easy day trip close. I knew right then and there that I had to find a way to visit. And you bet I did… again and again. Why the repeats? Well, as far as natural wonders go, there are few in the world quite like the Partnach Gorge. I’ve been there several times now and love it every single time. If you find yourself in Munich or in Bavaria generally, I highly recommend making the trip here. That’s what this post is all about! How to visit the beautiful Partnachklamm for yourself. FYI, for the sake of your sanity, I will keep this post void of any Gorge-ous puns (apart from that one, I promise). What is the Partnach Gorge? 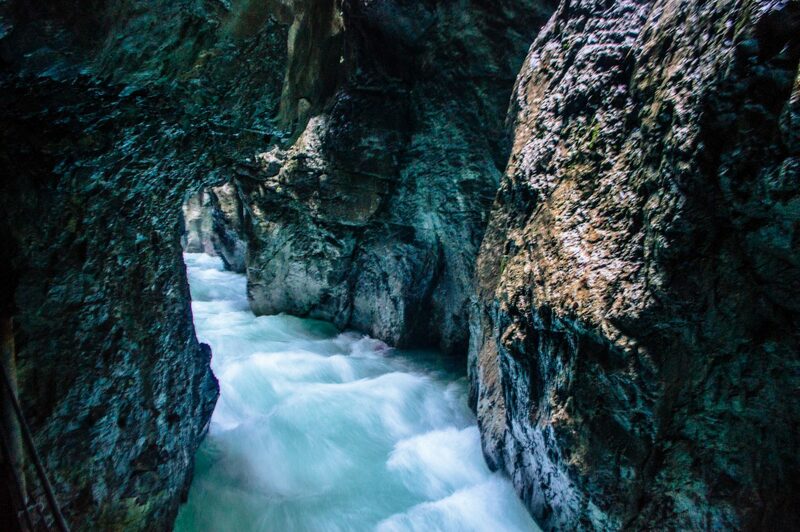 The Partnach Gorge is a beautiful natural wonder located in Garmisch-Partenkirchen in Southern Germany (in Bavaria, about 1hr drive away from Munich). It’s a 700m long gorge featuring tunnels and caves carved directly into the rock, which allows visitors to trek past trickling waterfalls to the soothing soundtrack of a coursing river. I mean, if you didn’t get the hint already, it really IS something special, all the more so in winter time when the waterfalls have frozen over. (I’ve seen photos, and it’s something straight out of Frozen!) I have yet to see the gorge in its full winter glory though because it’s somehow always closed when I try. (Pro tip: check the website before you go to see if the gorge is closed for safety reasons). FYI, it’s called Partnachklamm in German, so that’s what you should be looking for on the signs. NOTE: The last admission is 30 minutes before closing time. For a full list of prices, visit the Partnach Gorge website (in German). Don’t bother with an umbrella – it’ll only get in the way. Getting to Partnachklamm is really simple. If you’re doing this day trip with public transit, you can easily catch a train to Garmisch-Partenkirchen, then take a bus which drops you off close to the gorge and from there it’s a little hike until you reach it. When you exit the train station, take the #1 or #2 bus and get off at Skistadion. Here is a map of the route. You’ll be starting from “Bahnhof” (German for Train Station) and headed in the direction of Klinikum/Skistadion. If you’re unsure whether or not you’re going in the right direction, ask the bus driver “Partnachklamm?” before you board. Once you get off at Skistadion, take some time to look around at the big ski jump. After all, this is where they held the Winter Olympics in 1936 (yes, during the Nazi regime. You can even see where Hitler stood to watch the games). From here, you have two options: make the journey to Partnachklamm by foot (about 2km, 30 min) or take a horse carriage ride (in peak season only). Don’t worry, there will be plenty of signs and most likely other visitors who are headed the same way. Once you get to the entrance, pay your admission fee and enjoy! You won’t be able to drive directly to the gorge, but if you set your destination for “the Olympic Skistadion”, you’ll be able to park here. There will be a big parking lot with 300 spaces (and should cost no more than 5 euros). Once here, take some time to look around at the big ski jump. After all, this is where they held the Winter Olympics in 1936 (yes, during the Nazi regime. You can even see where Hitler stood to watch the games). From here, you have two options: make the journey to Partnachklamm by foot (about 2km, 30 min) or take a horse carriage ride (in peak season only). Don’t worry, there will be plenty of signs and most likely other visitors who are headed the same way. 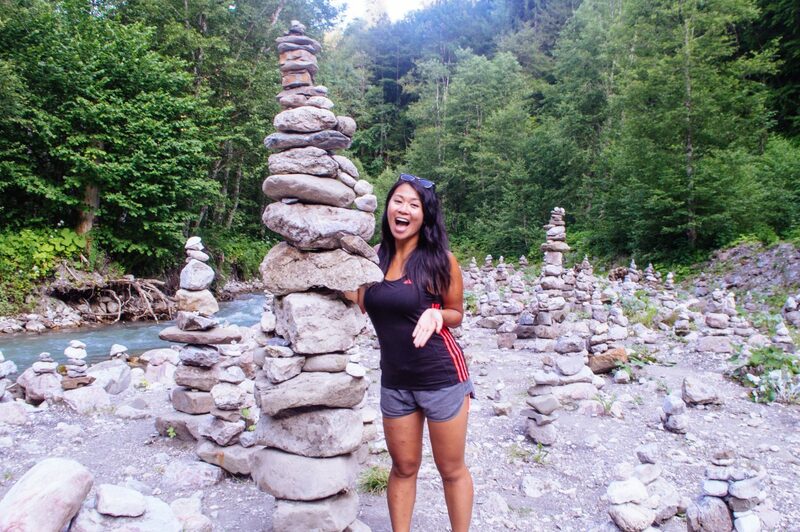 Random note: When at the gorge, be sure to walk all the way to the other side and check out the small area where there’s a crazy assortment of rock sculptures – so worth checking out. Go early or right before they close. Especially during peak season, it can get busy!! Not in terms of sheer numbers, but because the passages are quite narrow, even a small crowd can hinder the experience and make you feel like you’re just walking in a herd rather than exploring. Consider buying a Bavaria Ticket (Bayern Ticket) if coming by train. A Bayern Ticket is a special ticket that allows you unlimited transport within Bavaria (on most regional trains, buses, etc.) for an entire day. If you are coming by train, I highly advise you get one of these because they are also valid for the buses that you need to get to the Partnachklamm. 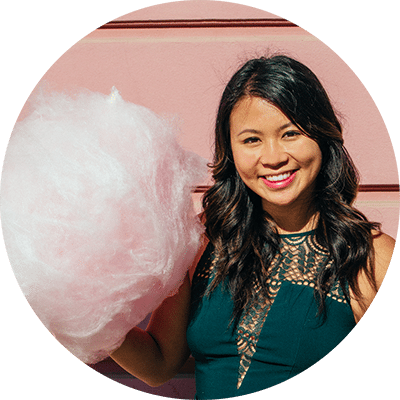 This can save you loads of money, especially if you are travelling in a group. You can get up to 5 adults on one ticket (kids under 15 are free!) and it’s 25 euros base rate for one person, then 6 euros for each additional person. That means if you have five adults in your group, you can get unlimited transport for the day for only 49 euros! This is suuuuuch a good deal. I highly recommend you take advantage of it. For more info, you can click here for my full Bayern ticket guide. If you’re staying overnight in the area, take advantage of your GaPa card (visitor’s card). If you are staying overnight in Garmisch-Partenkirchen, your hotel/guesthouse should provide you with a Visitor’s card that gets you free public transport and small discounts on local attractions, including the gorge. More info here. Look for the Partnachklamm signs. Garmisch-Partenkirchen doesn’t cater as much to English speaking visitors as big cities like Munich, which is why the signs you spot will be mostly in German. Don’t worry though, as you have probably figured out, Partnachklamm is the German name for Partnach Gorge, so just be on the lookout for signs that say “Partnachklamm” and follow them. The gorge isn’t quickly accessible from the Garmisch-Partenkirchen train station. To access the Partnach Gorge from the main train station, you’ll have to do quite a bit of walking, so be prepared for that. Alternatively, you can catch a bus closer to the gorge and then walk. See the section above for more detailed directions on how to reach the gorge from the train station. If visiting in the winter, get your expectations straight: they might be closed. While the gorge is still open during winter time, know that they reserve the right to close up shop at any time if the conditions get dangerous (which can happen rather unexpectedly), so prepare yourself for the worst case scenario. I recently tried to visit in the winter time (after seeing how epic it looked with ice) but to my dismay, it was completely closed. So, to avoid being totally crushed like me, I highly recommend you check their website for any closure announcements before leaving (the site is in German, so turn on that Google translate!) If you see a yellow button on the right sidebar that says “Partnachklamm Geschlossen”, that means it’s closed. As magical as all the waterfalls are, the flip side is it gets REALLY slippery and wet in there, so only bring shoes you’d be comfortable walking/hiking in. Don’t be that girl I saw struggling in stilettos. There’s water trickling down all over the place, so you’re bound to get wet! Because of the way the walkways are carved into the rock, umbrellas are not practical at all. Bring something waterproof (with a hood) to avoid misery. If you’re not good with the dark, bring a flashlight or headlamp. I’m not typically too scared of the dark, but there were moments when I could barely see anything going through the walkways and it really freaked me out. I would highly recommend bringing a flashlight if you can. Otherwise, they also have headlamps for rent on site as well. Partnachklamm is known as the starting point of a lot of scenic hikes, some short, and others that are absurdly strenuous (like going all the way up to Zugspitze, Germany’s highest peak!) If you want to visit the gorge while also indulging in a longer hike, there are tons of options. Click here to read the gorge’s English brochure, which lists some hike options at the end. If you have any more questions, feel free to ask away in the comments! I had not even known about this place – just the name scares me, haha, it’s so hard to spell and pronounce! The Garmisch Gorge looks like such an awesome hike, though! Stunning photos, this looks like a beautiful place. 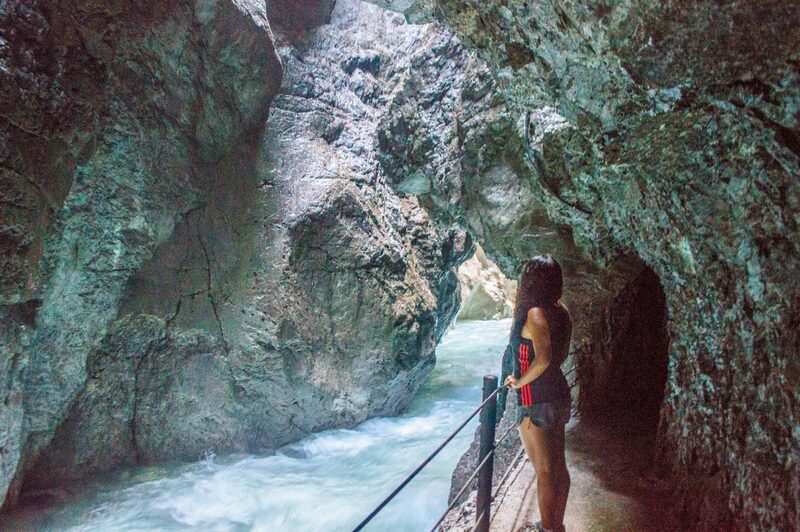 We’re heading to Garmisch-Partenkirchen next month and have seen Leutaschklamm gorge also – do you think they’re both worth a visit? Or is one better than the other?